When a person goes to the doctor, that person trusts that the provider will do everything in his or her power to either help the patient maintain his or her health or improve it. If that person discovers that his or health has declined despite regular doctor visits, or if he or she is dissatisfied with the results of treatment, he or she may feel betrayed and therefore compelled to file a medical malpractice case. In most cases, the patient would be in the wrong. Viable medical malpractice cases hinge on negligence. For instance, failure to treat or cure an incurable condition despite a physician’s proper diagnosis and use of sound decision-making to come up with a care plan is NOT considered malpractice. 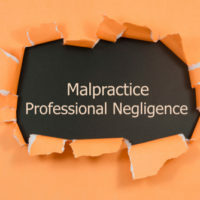 However, a physician’s failure to diagnose a condition that could have been treated but, as a result of the lack of diagnosis, worsened, IS considered malpractice. Oftentimes, the line between “honest effort” and “negligent” is blurry, which is why, if you suspect medical malpractice, the least you can do is consult a Miami medical malpractice lawyer regarding your rights and legal options. Many people expect healthcare providers to work miracles, but the truth is that they too are only human, and like the rest of us, they are limited in what they can do. While healthcare providers do have advanced technologies on their side, they must work against nature, a force that, for all intents and purposes, will do what it wants. For this reason, there is rarely a guarantee that a certain procedure or treatment will cure a patient’s malady. Even more rare is a physician’s guarantee that a treatment will work. That said, medical treatments can go wrong despite a physician’s best efforts. Moreover, treatments can go as planned and still yield little to no results or, in many cases, result in unforeseeable complications. These unfavorable outcomes occur through no fault of the doctor’s and are not causes for medical malpractice. Your case becomes one of medical malpractice if it can be proved that the medical provider failed to provide treatment that meets the medical standard of care. In other words, if the provider failed to provide a level of care that any other similar healthcare specialist in a similar situation and under the same circumstances would have provided, then he or she MAY BE guilty of malpractice. If this concept sounds vague or difficult to apply to you, that is because it is. To prove that the requisite standard of care was not met (or to prove that it was), both sides must hire expert witnesses, who will then explain to the jury about what should have been done given the circumstances, and if the defendant did or did not do just that. These experts must be healthcare professionals and/or be experienced in the particular field about which they are testifying. Unless a case is clear cut, it can be difficult for the average victim to gauge the value of his or her case, as a jury typically decides whether a case is or is not a case of malpractice only after hearing expert testimony. The best way you can measure the validity of your case is to consult with other healthcare providers regarding your situation or, in the best case scenario, consult with a medical malpractice lawyer who has the resources necessary to perform a thorough investigation. The healthcare provider failed to inform the patient about the common risks of a certain procedure before beginning treatment. If you suspect that a healthcare provider who treated you or a loved one is guilty of medical malpractice, contact the Miami medical malpractice attorneys at Spencer Morgan Law to discuss your case.